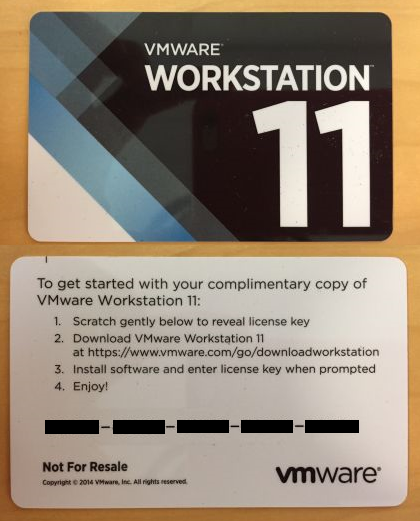 Two days ago VMware published new update for Workstation version 10 (release notes). According to the changelog it should fix some security issues reported in OpenSSL. That’s nice, however there is a small problem with this update. VMware.exe (the GUI part of VMmare) started crashing immediately after update. This was quite a learning experience, do not update critical software if you have something important to do, as the new version can be worse than the one you are using. Since I didn’t have the previous installer at hand, I had to somehow resolve this issue differently (yeah sure, I just wanted to debug it and see, why it is crashing). left -= ret - ret_buf;	// <- !!! BUG BUG !!! Variable left should be updated on each iteration with the length of the written data, so it will always contain number of bytes left in the ret_buf. As you may already noticed, ret_buf doesn’t change throughout the function, so left is updated with the length of all strings written since the first iteration. It goes below 0 very fast and since it is declared as size_t which is unsigned it will be interpreted as such in the if (left > ipv4_size) comparison and at the end it will overrun ret_buf (only if there is enough records to process by the for loop). Described bug was present in c-ares library since the very begining (2004-06-10). There were some changes regarding IPv6 (2011-05-17) that were modifying this function, but bug persisted probably due to copy&paste from IPv4 handler. Someone fixed this bug almost a year later (2012-02-25) and the other person rewrote whole code few months later. Unfortunately VMware chose to use version 1.7.5 which was released before this bug was fixed (2011-08-16). Blast from the past. If you are experiencing crashes in VMware Workstation 10.0.6 just use libcurl.dll from the previous build, at least it will stop crashing. UPDATE: Someone at VMware forum pointed out that it is sufficient to get libcurl.dll from the \OVFTool\ directory and it will solve the issue. Indeed it is true, as libcurl from mentioned directory uses c-ares version 1.9.1 (libcurl itself is also newer as it has version 7.30.0). I’m from the VMware WS team. We’d be happy to take a look at this issue. Could you please provide us more info such as the Windows host version? Could you possibly be able to provide us the Workstation logs, crash dumps etc? I’ve sent You an e-mail with more details. Thanks for your interest. Thanks a million. That did the trick. You just saved my day, thx a lot! Thanks for the non-programmer translation on where those files are – and thanks to the OP for doing all the hard work! Thanks a lot for solving this problem for me! Also thanks Google for pointing me to your blog post, as this issue as of today (of course?) is unknown in the VMware KB! Thanks for the great article, fixed my problem right away. Well done! Great article, corrected my issue that started 2 days ago where VMWare Workstation will crash after computer reboot. DLL copy corrected it. Thanks for the article. I’m literally onsite and had this issue. Copied the file. Fixed. Awesome work. Thanks for your nice article! I’m troubled with VMware workstation 10.0.6 for a few days. I Copied libcurl.dll from \OVFTool\ to \VMware\, then this crash was not occurred. My event viewer noticed these bellow log when vmware workstation crashed. That helped me too….not sure why VMware would push something that does not work. Had the same issue today. This article was really helpful, it saved me a lot of time. Thanks! Thank you for this post. Would be nice if VMWare were have this fixed by now. May 8 they reply saying they will fix. June 16 still not fixed and pushing out the update. Thank you. This worked for me this morning. Thanks for this, it solved my problem. Thanks for this, it did help me a few months back. Today, I experienced an extended version of this due to an extended power outage which dropped the machine. After going through all the motions of re-re-re-replacing libcurl even though it worked in the past, I was getting the same error. Turns out I hadn’t noticed that apparently CMOS battery had died and my clock had reset to some default 2099 date of the bios, and I was getting the exact same dialog indicating the BEX error. I’m assuming the underlying crypto requires accurate time, this was choking something up, but once I fixed the time the BEX fault went away. I just wanted to make sure this was logged out in the ether somewhere in case anyone else encounters this, comes here and finds your great analysis, and remains “stuck” after trying it like I was. Fixed my issue right away. Thanks! Having an issue with WS 11, before reboot when moved out of a VM it was no longer possible to focus the window of workstation, had to close it via taskmanager, then restart vmware workstation but then that happend again. After a reboot, the vmware.exe is starting, but there’s no window opening at all, the taskmanger shows vmware.exe is running. Using v11 on Windows 10 Pro (release). This is rather unrelated topic, so I suggest asking on official VMware forum. Thank you so much, copy and replace the libcurl.dll from the program files(x86) to VMWare Workstation works! Freaking Awesome! This fixed my issue! Thank you very much!